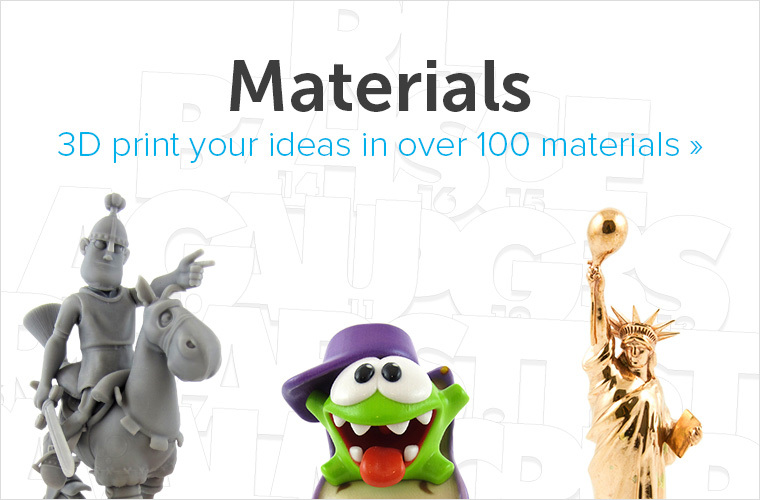 Today, for the first time ever, you have the chance to create your own products in gold with i.materialise! 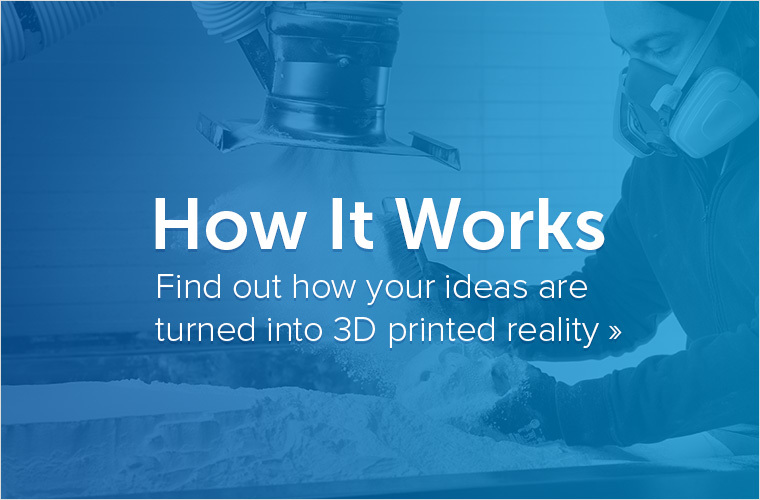 We are ecstatic to be the first 3D printing service in the world to offer you the chance to see your creations brought to life in this amazing material. And, if that was not enough, we are also announcing the launch of sterling silver. Our Periodic Table of Materials has never looked so good! It has been 183 years since the first Gold Rush hit in the United States and although most of us are no longer racing off to make our fortunes digging in “them thar hills”, the lure of gold and the power it holds over us remains. There is something that sets this metal apart from all others, and mankind has been using gold to fashion their most precious artifacts for thousands of years. 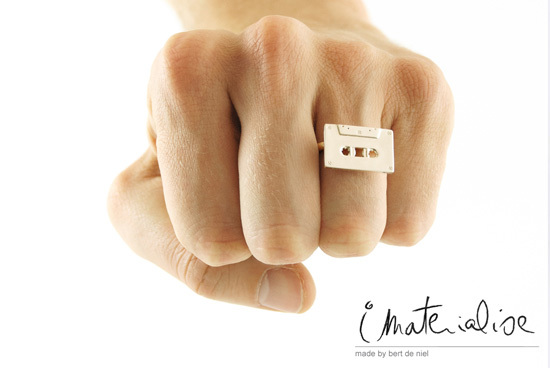 Now, through i.materialise, you too can bring amazing designs to life in gold. 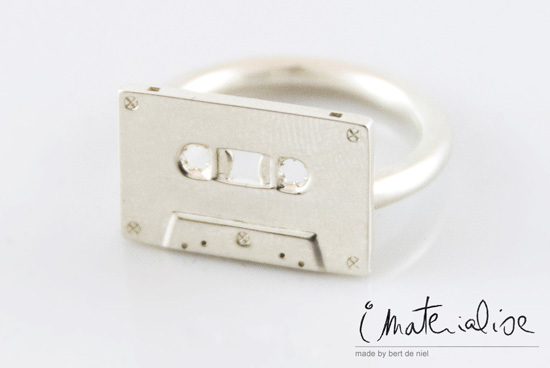 Whether you design a personalized wedding ring that screams “I love you” or a hip hop necklace that takes bling to a new level is up to you to decide. 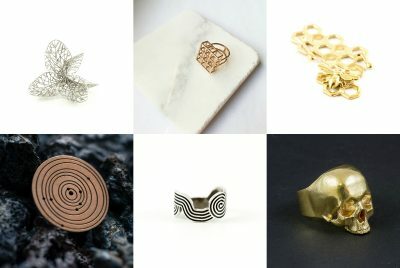 With 3D printing, there are almost no limits to what you can now create in gold. The gold used is 14 carat and there are three colors to choose from: very bright yellow gold, a deeper gold with a reddish rose tinge, and white gold. The material properties for all three colors are identical. 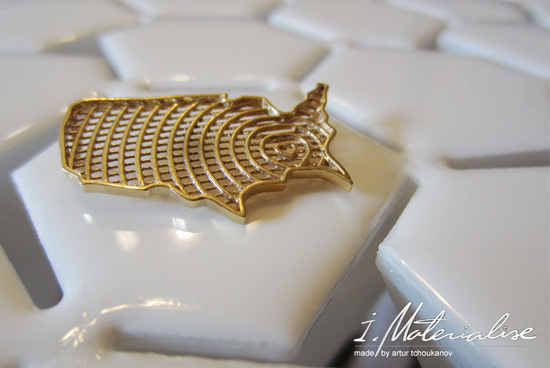 After receiving your design, we first create a 3D print in wax and then replace the wax with molten gold, resulting in a design of solid gold. Your design is then finished and polished by hand before being sent to you. It is important to note that with this process, creating designs such as a “ball within a ball” and links of chains will not be possible. Don’t forget, there is also silver! Just like in the Olympics, Gold will probably steal all the attention in this post, but silver is not to be underestimated. 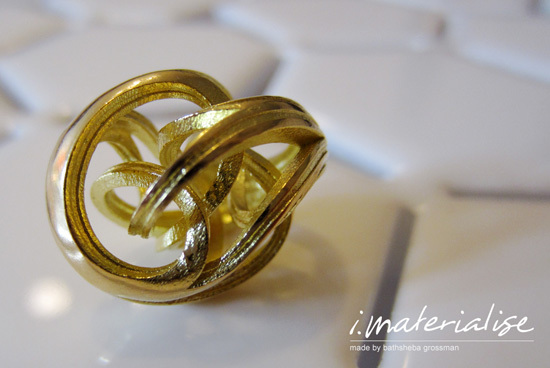 This gorgeous metal (with a color I personally prefer over that of gold) is now also available through i.materialise. Do you need a baby gift a little more unique than a bottle warmer? Print a personalized spoon! (If this service was available when my nieces were born, I know I would have) And, for those interested in going beyond making jewelry and ornamental objects, don’t forget that in addition to its bright shine, silver also has very high electrical and thermal conductivity. So, for those that are interested, feel free to try out some circuits or mirrors. The process for bringing your designs to life in silver is the same as that used for gold. The only difference is that instead of replacing the 3D print in wax with molten gold, we will replace it with molten sterling silver. 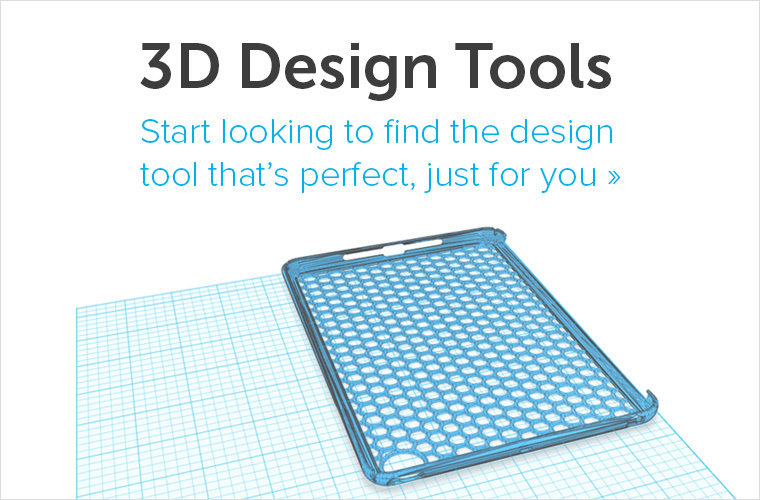 This also means that the same design limitations apply. So, don’t be disappointed when we are unable to print your “ball within a ball” silver pendant hanging off of your silver chain (made of links). The big question most of you are probably asking is, “How much will this cost?” The answer is that you will have to submit a design and request a quote to find out. Before you get frustrated by this answer, I would like to explain that our launch of gold and silver is in fact a test that will be taking place between now and mid-August. During the test period we will be looking at the prices on a case-by-case basis and carefully watching the kind of orders placed. Later, this will allow us to provide a pricing scheme that best reflects the needs and wants of you, our community. A 14 carat gold piece (in all three colors) with a volume of 0.25cm³ would cost around 178.6€, and a piece with a volume of 0.35cm³ will be 225,5€. A sterling silver piece with volume 0.25cm³ would cost 30,10€, a piece with volume 0.35 would cost 31,5€.